Everyone is writing about whether they met their goal for 2011, I could not remember if I had set any…. I checked back on my posts and found that I did not. What does that mean? It certainly does not mean I did not have any, it means that I had no clue what I wanted to do. When I wrote the posts a year ago, I did not know for sure that I would be retired by now. But I am…..I think forty two years working as a nurse is long enough. I made a lot of discoveries, most of them by happenstance. I find things when I least expect it, it is that I go to search for an ancestor or something related and come up with something totally different. This has happened the past four years of my research. The most surprising was my sister and I went to take pictures of my grandparents graves and I found a whole branch of her family. I had no idea that my great grandfathers siblings had moved to the USA. My mother spoke of her Tante’s but I wrongly assumed that she was speaking of her fathers Aunts in Germany. She also had mention family secrets that I have yet to prove and perhaps I shall never find. What do you do with family scoundrels? I suppose I shall not print what I have heard until proved otherwise…..I could have gotten it mixed up like the information about her Aunts. It has been three years since I have started writing. Thanks to Thomas MacEntee at GENEABLOGGERS for reminding me and mentioning my blog. I knew the anniversary date was soon, but I thought it was after Christmas. When I started I had no clue what I was doing, sometimes I feel that I still don’t. Looking back I feel it is more on the order of a research summary and questions to decide how and where to proceed. I really have learned a lot in a short period of time. What I have done was to find collateral families of my ancestors that I did not know existed. I am currently trying to find what happened to them since I can not even find the Michael Downs Family in the census. I have started to volunteer doing research at the Diocese of Pittsburgh Archives , and indexing on Family Search. I am even getting better at reading the old style German writing script. I would like to assist on the indexing of the Pennsylvania Deaths and Birth which now will be made public after the bill was signed into law by Governor Corbett of Pennsylvania. I am hopeful that I will find as much more information in the next three years as I have found in the past. After spending time yesterday I found the 1910 census of my O’Donnell Family in North Braddock PA. Edward, Mary and the daughters are still living on the same street as her brother Thomas Dowd and sisters Catherine Mulroy and Norah Finnerty. But census searches for any of the family after 1910 were negative. One thing I did find was a application for a passport for Bridget O’Donnell. Bridget was born in December, 1889 and would have been fifteen at the time of the passport application. My brewing question is, did they are return to Ireland? If some family tragedy occurred I am sure some of the remaining family would have taken her in. These are only a few of the children who had died. They are the children of Katharine Rauscher Sperl and Anton Sperl. They all died from infectious diseases. This morning I went to the Archives to do my volunteer work. I usually go on Thursdays but I will be busy with Christmas preparations. My morning was filled with searching for information of a client, which was successful. There weren’t any requests left. The afternoon was spent looking for my own ancestors. I found that the previously mentioned Mary Dowd O’Donnell was indeed my great aunt. She and her husband had only daughters. He had emigrated in 1875, according to the 1900 census. Edward was fifteen years older than Mary. I did not find a marriage record for Edward and Mary Dowd but the 1900 census they had stated they were married in 1885. I suspect they were married at St. Thomas RC Church in Braddock, but could not find a record of this marriage. According to the 1900 census Mary emigrated in 1882 which was two years later than my great grandfather (Thomas Dowd her brother.) Edward and Mary had only daughters Margaret 1885, Catherine 1887, Bridget 1887,Annie 1889, Mary in 1892 and Norah in 1895. I have looked for them in the 1910 census but they could not be found. With all daughters I find them hard to search because of the change of name. My great grandmother Bridget Naughton Dowd (b. 1868) had a sister Mary born in in County Galway, Ireland in 1865. I found Mary, she married Michael Downs on 23 July 1882 at St. Thomas Church in Braddock PA. They also has daughters and one son. Michael Downs b. 1892, Sarah Mary Downs, Mary Downs 1884, Anna b. 1887, Margaret b. 1889, and Josephine b. 1896. I can not find the Downs Family in any census. I know Mary was alive because my father, Thomas told me that his grandmother Bridget had a twin sister and he could not tell them apart. My father was born in 1918 and Bridget died in 1939. My theory is that he would have been somewhere between 1925 and 1939 to have remembered Mary Naughton. She was alive probably in that time period, but where was she? O’Rourke, Ellen. On Friday March 14 at 7 30 (?) a.m. Ellen O’Rourke, beloved wife of Patrick O’Rourke, in her 72d year. Funeral from her late residence, 274 Braddock Avenue, East Pittsburgh, on Tuesday, March 18 at 130 p m (?) Requiem high mass at St. Coleman’s Roman Catholic Church, Turtle Creek at 2 a m (?) Friends of the family are respectfully invited to attend. Interment in Braddock Catholic Cemetery. This is the obituary of my great grandmother Ellen O’Rourke. The copy from the paper is difficult to read and it looks like what should have been PM looks like AM. I can not imagine anyone being buried in the middle of the early morning. I was sad when I found it because it does not mention her birthplace (Limerick, Ireland), her parents (Patrick Mortel and ??? her mother), or her children. Many of her children, Mary, William and Gertrude, were still living at home with her. Was the cost of the obituary a factor in omitting this information? Since I have retired my cousin Helen Jean has been sharing her family information (husbands side) with me. I have been researching a few of the Catholic families. I made an informal research plan and decided to see if I could find information on Anton and Barbara Miller (Muller) who had listed their place of birth as Switzerland. I found that Anton had come across in the late 1840’s. My goal was to see if the records existed to find Barbara maiden name and where they came from in Switzerland. They had many children so I check for the Baptisms first. I was able to find the Baptism of Chucks and Helens ancestor, Adelaide Miller Feldkamp. Adelaide was born in 1851 and I indeed did find her Baptism which was at St. Marys’ RC Church in Allegheny City, Allegheny County,PA. As I searched more I was able to find her siblings, Ferdinand, John, Caroline, Evelyn, and Bertha. A check with the 1850 census produced a sister Susanna, who did not appear in the succeeding census of 1860. I was also able to glean Barbara maiden name, Bosshard and the town of her birth, Turpenthal/Turbenthal, Switzerland and the town of her husband Anton Muller/ Miller of Koblentz, Switzerland. This was exciting…..because I came across a person who was also researching this line on Ancestry. A quick note off to this other person and I found a cousin….Barbara who was descended of Adelaide's brother John. We were able to share information amongst the three cousins. Now we had three people in on the search and Barbara and Helen sent for some records from the LDS Church. Barbara found a microfilm of a Family history of the Bosshard Family and it was documented the ancestors back for seven generations. That is totally unbelievable to me that records could exist back that far. After I realized Switzerland's neutrality and the records still exist. We have still much to find but this was a great find in a new cousin and much more information with just the maiden name of Barbara Bosshard Muller and her town of birth. From the family history we found that Barbara and Anton were married in Turbenthal before they emigrated to Pennsylvania. It has been a good week. In the records from Switzerland and St. Mary’s Church the name is recorded as Muller and later on on the census and other documents it has been changed to Miller. Pictures taken at PHIPPS CONSERVATORY on my outing yesterday. With a few hours and lack of clients I also tried to sort out the names of the four deceased O’Rourke children of my great grandparents Patrick and Ellen Mortel O’Rourke. I knew of the daughter (Loretta “Gertrude” O’Rourke b. May 1890) and the tale of Dennis O’Rourke (“drowned in river”) I did find the death index of Loretta in the Allegheny County records. My cousin send a picture of Dennis and I never found a death record for him, and the cemetery records are incomplete. Allegheny County did not keep records until about 1892 or 1893 and I estimated the time of death as August 1891 because that was when the cemetery lot was purchased. Dennis would have been named after Patricks’ father, Denis O’Rourke who lived in Limerick, Ireland. I decided to start at the beginning. Looking for Baptism records at St. Thomas RC Church in Braddock PA. Since Patrick and Ellen were married in 1874 I started looking in 1875. I found Dennis (Dionysium O’Rourke) I had to ask and was told this was Latin for Dennis. Born 28 October 1875 and Baptized 1 November 1875. Father, Patrick O’Rourke and mother Ellen Murtal, sponsors James O’Rourke and Maria Farrell. James was Patricks’ brother. On the same page and two entries later was another record. Born 10 November 1875 was Joanne O’Rourke and Baptized 18 November 1875. Father Patrick O’Rourke and Ellen Mortel with sponsors Martin and Winifred Otter. These pages were the original entries, what just happened here, or rather in 1875? It is highly unlikely that Ellen would give birth to two children twelve days apart. Who are the parents of one of the children? Did they adopt a child as their own of some other family member to avoid a scandal? The two could actually be raised as twins, that would have been no problem at all. I have been thinking about all the possibilities and can not come up with a answer at all. The Baptism record is probably the only record that I will ever find on these births. Being the first born children I can honestly say that this will remain a mystery forever. Any thoughts on this mystery please leave a comment, I have to consider every possibility. Today I went to the Archives to do my volunteer researching. Since Thursday is HOLY DAY OF OBLIGATION the Archives will not be opened. I did some research for a client and since there were no more requests I decided to search for my Irish ancestors. The records of St. Thomas RC Church are incomplete and Spartan. The Church was founded about 1854 and the marriage I was looking for in 1874 is not recorded, actually for the year there were only about eight. Quite unexpectedly I came across a listing for a Baptism and the name of the mother caught my eye. Her name was Mary Dowd. I knew my great grandfather, Thomas Dowd had three sisters, Catherine, Norah and Mary. Catherine and Nora emigrated to the USA, married and I found them living next to their brother Thomas in the 1910 census. Catherine was married to Thomas Mulroy and Nora to Cummins Finnerty. What I found was a Baptism for a child, Bridget O’Donnell and the parents were Edward O’Donnell and Mary Dowd. Bridget was born 15 December 1889. The sponsors were Thomas and Ann Dowd. Thomas was my great grandfather, but who was Ann? I searched for additional children of Edward and Mary and found a few. The most important clue was a sponsor for one of the children was Richard Fitzmorris and Fitzmorris was the maiden name of the Dowd siblings mother Catherine. Back to the 1900 census and Mary and Edward were there. According to the census they had been married fifteen years and Edward was fifteen years older than Mary. Relatives really do hide in plain sight. On the above census the four siblings were living together on the same street. More research to be done on Mary and Edward. There is only one sibling left and that is a brother John. I suppose he will pop up unexpectedly like Mary did……….. There were a few other surprises which I will follow with later. Who are you? You are someone on my fathers side, but what is your name. It was just a little time on this thought. I am thankful that all of my sibs and I (six of us) and spouses, are healthy and have no major health issues. I am thankful that two are retired and four are employed. I am thankful that our children are all employed or are in school studying things that will lead to their employment. I am thankful that we were all thrifty and surprisingly everyone still lives in the first houses that we all purchased early in our lives. I am thankful that my husband, brothers and brother in laws will help with home repairs and remodeling. I have to talk to my sibs, but I do not remember having Thanksgiving at my grandmothers, either one of them. I do remember having dinner at my Grandmother O’Rourkes but for the most part my father would pick her and her brother William O’Rourke, and bring them to our house. The really strange thing that I just thought of is I do not ever remember having dinner at my mom’s mothers, Anna Bartels. Was it because my father did not like his mother-in-law (that is a fact for sure) What I can remember he said was someone asked him how the war (WWII) was going and he said it was going well and supposedly she said “Not for our side.” Anna was born in Germany. If this conversation did happen I will never know. I also do not remember my grandmother Anna Bartels coming out to our house for dinner. We would go to visit but not eat. This needs to be investigated tomorrow when I talk to my brothers. I talked to one brother and sister and they also had no memories of ever eating a meal at our grandmothers, Anna Bartels. They also remembered going to visit but not eating. Was this because my grandmother did not want to cook or because my father did not want to eat there? I am thinking it was the later. My brother did remember eating breakfast at Gertrude O'Rourkes house because he was eating pork chops for breakfast. I can remember eating dinner and being fascinated by the tiny squares of carrots that she had cut, and also she made parsnips and turnips. He said he had gone there after church and she cooked breakfast. Which leads me to another question. My grandmother O'Rourke lived in East Pittsburgh and the local Catholic Church was St. Williams. This the closest church, about a ten minutes walk, but most of it was uphill. She always went to St. Colman's, which was in Turtle Creek. Traveling to St. Colman's would be on two street car rides and take about thirty minutes. I have her and my grandfather, Thomas Dowd marriage license and they were married in St. Colman's in 1917. Perhaps this was the church she always attended and she would get to see her son and grandchildren every Sunday. My father would take my grandmother and her friend, who was also her cousins wife, home after church. It is amazing what buried memories come back with a thought in your head. No family drives me more crazy that my paternal grandmother (Gertrude O’Rourke Dowd Graham) parents, Patrick O’Rourke and Ellen Mortel (Martel/Martin??) I was re-reviewing my fathers papers and came across the Delayed Birth Certificate for William and Gertrude O’Rourke. My theory is that they applied for them in order to get enlisted for that new thing Social Security. On my Uncle Bills papers he had listed his birthday as May 1888, which coincided with the Record of Baptism of ST. Thomas RC Church in Braddock PA. The interesting thing that caught my attention was the notation that there were nine children living in the household, including William. My grandmother, Gertrude O’Rourke, also applied and listed her birthday as October 5, 1892 which also is what the records of St. Thomas RC Church had listed. The interesting thing to me is that in the four years between 1888 and 1892 are that the number of children now living, including Gertrude is six. Which leaves me missing three children as of 1892.
Who is missing? One I know of is Dennis O’Rourke, who my grandmother spoke of and said that he had died in the river (Monongahela River) He had gone to swim and drowned. I have his picture, courtesy of my cousin Joanne. My grandmother spoke of her sister Loretta who also died “Because someone scared her at the window and she died.” I did find a listing for Loretta in the Allegheny County death as of 1892. The report said she is buried in Braddock Catholic Cemetery. Who is the third child? I check my fathers notes on the O’Rourke Family and he had listed a child Rebecca, who is Rebecca? I know nothing about her. My only clue is the fact that Patrick purchased his cemetery lot in August, 1891. Is this the time Dennis drowned? I can not imagine anyone buying a lot unless it was needed. The records from that time period are missing from the cemetery records. Where does Rebecca fit in to this equation? My theory is that Dennis had been the first to died because August was the time to go swimming. So Rebecca died between 1891 and 1892, and Loretta died in 1892. I have to go back to the cemetery and see if there is a listing of who’s who in the plots and search the Baptism records of St. Thomas. The death records do not start until the 1940’s so that is out. 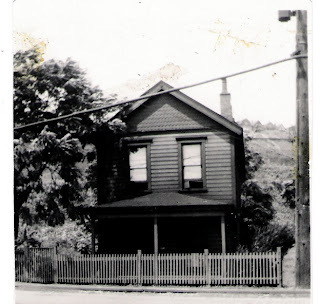 The records of death in Allegheny County Start in 1892 so Dennis and Rebecca would have died between 1888 and 1892. How sad was it to lose three children within four years…. Fall is my favorite season, the hot days of summer are gone and the cool crispness has arrived, at least in Western Pennsylvania. School always started the Monday after Labor Day and that really signaled the start of autumn for me. In grade school I went to a Catholic School. At the time, I and many other children, rode the city bus to school because it was not required to be provided by the school district. The ride cost five cents, one way. Can you imagine sending your five year old on the city bus to school by themselves today? \On snowy days school was never cancelled; I suppose it was because the nuns lived nearby in the convent. The buses would be equipped with chains that were held together with huge bungee straps and if one of them broke the chain would make a loud noise as it hit the inside of the wheel well. It was also a very busy time at our house. My father had a garden which provided most of the vegetables and fruit for the winter season. My parents would also buy fruit by the bushels full and can them too. I had to help with the canning, my main job was to remove the skin from tomatoes and peaches and then after my mother cut them I would place them in the jars. Anything remotely dangerous was done by my mom and dad. The next big event in the fall was Thanksgiving. My mother would cook the turkey and all the trimmings. I really do not remember going to my grandmothers for the Holiday, although my grandmother and her brother would come to our house. My dad would provide the car ride back and forth since no buses were running on that day. We would have stuffing, cranberry sauce, mashed potatoes, gravy, two vegetables and the turkey. For the dessert was the pumpkin pies, later years my mom would buy the pre prepared pie shells and just make the filling. It was and still is my favorite holiday. I set off this morning to search for a record of Clara Nosseck. It was brought to my attention to a woman who lives in the Pittsburgh area… She thought the story was of interest and did a Google search and found my blog. I had wondered what had happened to Clara Nosseck who was the first wife of my husbands great grandmother Katharina Rauscher. This was from the Pittsburgh Press, 17 February 1889 page 4. The body of Mrs. Cara (sic) Nossack (sic), wife of Joseph Nossack, of Millvale, who left her home the evening of Jan 7, was found yesterday by two men who were cutting ice at the head of Herr’s Island. Mrs. Nossack was mentally deranged. Her husband had made every effort possible to find her. She was last seen the evening she left home standing at the end of the Forty –third street bridge. She had her little dog with her, and the next morning when her husband was looking for her, the dog was still waiting at the bridge. It is supposed she plunges into the river there. A verdict of suicide was rendered. I check the records of the deaths of the City of Allegheny and found the entry. She and Joseph had married in 1887 and she had two children. My thought were that she quite possibly had POSTPARTUM DEPRESSION Which quite likely could happen with two children under the age of two at home. She was buried in Shaler Township, but I have yet to find out if it was in the family plot at St. Anthony’s Cemetery. I felt sort of depressed after reading the news article. The past two months have been busy and that left not left a lot of time to do research, but I think I am back to normal, whatever that is. Today I was at the archives and did research for three clients. One was a surprise to me and probably even a bigger surprise to the client. I did find the names of four of the great grandparents and where two of them were born. The interesting thing was in the space for the birthplace of the parents was ? in each space. Why did the bride not know where her parents were born? Did she emigrate by herself? This shall remain a mystery. With the few minutes left I searched the records of ST. Thomas parish in Braddock, PA. I was looking for the marriage of my great grandfather Patrick O’Rourke and Ellen Mortel. According to the 1900 census it stated that they were married in 1874. I found the records of their first child, Anna O’Rourke in 1875. I poured over the records from 1854 till 1879 and the book that had the early records was Spartan. From its appearance I think that the original record book was lost and what I found was sort of a reconstruction from some of the people who were married. Some of the years were missing records and the year 1874 there were only about seven marriages recorded. I have searched the Vital Records in Massachusetts , Baltimore, New York and Philadelphia to no avail. I think they were married in Braddock PA and the record does not exist. What lead me to this conclusion is the fact that the first daughter was born the next year, no record in other states and I do not think they would travel with Ellen heavily pregnant and set up housekeeping, Also, I have searched every Irish Catholic Church in the Diocese of Pittsburgh and did not find anyone in my family, Both sides of ancestors attended St. Thomas and had the sacraments administered at that parish. I will keep on searching, but I think by deductive reasoning that the records are lost. A collage done by me of the people of my husbands ancestors. Some of them have yet to be identified. Collage done by program COLLAGE IT I really like this program, but have not done very much work on it, I have to get busy creating. Today I spent the day at the Archives and was perusing the records of St. Mary Catholic Church in Allegheny City. I was looking for a death for a client. I came to a page in the handwritten index and I noted that five people of the Fuchs Family had died on 26 July, 1874. I made a note because I thought that was so interesting because they had died from aqua submersion, or drowned. After I found the information for the client I went back to read it again and below and above I found families that all had died from drowning. My co-researcher said that she remembered that there was a terrible flood one year. FATAL FLOOD 1876 It seemed to be about 126 people who lost their lives. In one article I read was that the event was considered “an act of God” and no one was held responsible. Just an Android find, but it is the Beta of Ancestry. If you go to your apps and search Genealogy then Ancestry app comes up. It says "read only" You can download it and then log into Ancestry and download your information. There is a link for comments on how you like the app. It was easy and what I feel is great is the fact that you can access the info from the smart phone. I have to use it and check the features but it will be good when I am out and need to access the account. Today I got an email from Ancestry that they had found some potential matches from my grandfather, Willi Schridde. My thought was what could they possibly have found? Usually it is someone who is not a match or they found a tree match, which is really one of my other trees. I had called them one day and asked if there was anyway I could merge the four trees and they told me there was not. Back to Willi........I knew from reading the news story about his death by electrocution as I had written HERE about his being injured in WWI. The information they sent me was from a book and it had him listed as being a casualty in the war. Since he was German it was published in Germany. I know it was him because his birthday was correct, and much to my surprise he was injured twice once in 1914 and once in 1917. Now I wonder if there are other records to describe his injuries, from the article about his death I think they were serious. Now, on my to do list is to look at the towns that were listed and see if I can find records about his family. He was born in Quickborn, but his "parents left soon after his birth" This leads me to believe that perhaps she went into labor while on a visit to some relatives. More to be discovered. I am glad I took the class about how to read Franktur....which is that "Gothic" style of German writing. It was not really random, no was it something that any of us would have done. During the summer I met my husband at an auction. He had purchased a small chest of drawers and needed my car to transport it. When we went to get the chest we found a box with a few other things that the auctioneer had thrown in as well. One of the items was a box of family photos and some of them were from the late 1800’s and early 1900. So doing what every other genealogist would do I searched and turned them over to see if they were labeled. A few were and I scanned them and started a blog FOUND AT AN AUCTION. With the name on the back of one post card, Henry and Calisa Steinke I was able to find a tree and the same old photo on the site. The photo was a copy of a newspaper and not too clear, but I could see it was the same photo. I found the pictures in Western Pennsylvania and the recipient lives in Ohio. It was probably on the western migration of the family. After a few email to the tree owner I have sent the photo on their way. They were excited to get them, as I and all of you would be. His mother in law was able to find many family members and was really happy to get one of the original pictures of Henry and Calisa. He said he will let me know how the story develops. I can’t wait to hear……..
My hope is someday one of my cousins that I have not met will find me and send me pictures of my great grandparents Thomas Dowd and Bridget Naughton and their children. There is always hope for that one. Hyperinflation circa 1923 following WWI. My grandmother said that the men got paid twice a day and at noon would bring home the money so the wives could buy something tangible because by the end of the day the cost of goods would be higher. 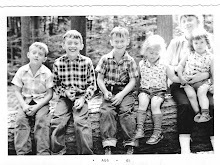 The family emigrated in 1926 to Pennsylvania. RESEARCH TODAY AND MY FINDS. Today I was able to do a bit of research on my husbands 3x great grandparents, Anton and Barbara Miller. What I found was in the Baptism records of St, Mary's German Catholic Church in Allegheny City PA.
Now with the new discoveries my questions are were they married in Switzerland and was Susanna born in Switzerland. Susanna is not in the 1860 census, did she die? I have to check the death registers to see what I can find. It was a good day in the discover of ancestors. A note of interest was that the name was recorded as Mueller for the birth of all the children, the last being Bertha in 1866. The death recorded for Barbara has her name listed as Miller in 1889. And it is nowhere finished. I have been remiss in posting, that does not mean I have not been busy but rather, busy with the ins and outs of life. First, my husband had some outpatient orthopedic surgery. A visit to the daughter was in order. Tomorrow is a wedding, and two other things planned with in the next month. I do not know how I found time to work. What I have been doing in genealogy has been interesting too. Since I have retired I have been going over the records of my cousin Helen. She and my husband are first cousins and I am searching for clues and information that pertain to those lines. One of the things I found was a death certificate of a relative that she did not have. The second was, when I updated one of the four lines I got a shaking leaf on Ancestry. As the story develops, I found a new cousin, Barbara. We both were excited because I found someone to share information with. My husbands 2x great grandmother was a sister of Barbara 2x great grandfather John Miller. Cousin Barbara said she had never found someone who was researching the Miller/Muller line before. Anton Miller/Muller (father of both) was born in Switzerland in 1810. I have not found the information on the date he emigrated to Allegheny City, Pennsylvania. The first record I found was the 1850 census with he and his wife Barbara living with a daughter Susanna. Susanna is six years old at that time and would have been born in 1844, they were living in Allegheny City, Pennsylvania which is now part of the City of Pittsburgh. In 1860 census the same couple have one daughter, Adelaide who was estimated to be born in 1850. Susanna is not listed. What makes my new cousin and I think this is the same family is that the wife is named Barbara and is 14 years younger than Anton in all the census information. Helen (cousin) had found the two obituaries for both Anton and his wife Barbara. They were buried with funeral masses from St. Mary's Catholic Church located in Allegheny City PA. What I need to do is search the records of the Diocese of Pittsburgh. The first German Catholic Church, in Pittsburgh, was St. Philomena's. It was established in 1828. So my plan is to find the records to see if Anton and Barbara were married here. With Barbara being fourteen years younger than Anton I see this as a definite possibility. Then check the records to find Susanna and Adelaide. I need to see if the first child with a question mark is a sister of Adelaide and child of Anton and Barbara Miller (Muller) I have seen the last name written both ways. Cousin Barbara is descendant of Adelaide’s brother John. Cousin Helen had no information on John because John Miller is such a common name. So we were able to share information and obtained information on a brother. We have all been excited about what we now know and I hope to be able to fill in the pieces. Or at least it seem that way. I seem to go in spurts in blogging. I hope I am on the up side now…….I have been researching my husbands side for the past few months. He seems to have more interesting ancestors than I. This is because they arrived from 1733 to the early 1800’s. My Irish relatives came over in the 1880’s and my mother and her parents came over in 1926. I find the Irish and German research to be very difficult. I found a lot of information after their arrival but not a lot in Europe. I find it unusual is the fact that both of our families settled in Pennsylvania and STAYED THERE. How rare is that? I have been perusing the local county Historical Societies and looking on the Gen Web site for those counties. I guess a road trip will be in order. The good thing is that they are no more than a two hour drive away. I felt the need for a little autumnal color. My father had the philosophy that children should eat what they are served. This was the result of his growing up during the depression. And my mom served things that only my father liked. The most disgusting and repulsive food to me were creamed Lima Beans. The texture was gritty and flavorless. He seemed to like everything creamed, including spinach, lima beans and corn. Why anyone likes cream on vegetables still escapes me to this day. He also liked raw onions in everything and the worst were meatloaf and hamburgers. I remember picking out the onions in everything I could find, and I do not eat them now. My mother bought a blender years ago and chopped up the onions and celery that she put in the stuffing because I would sit and pick them out of the dressing. We had to finish everything on our plates and I would sit in the dark in the kitchen, gagging and holding my nose while I had to eat what was there. I still do not eat Lima Beans and will pick them out of vegetable and make a nice, neat little pile of them on my dish. They are a vegetable invented to punish children. I am both happy and sad at the same time. I contacted the person ("me") who had posted the information for the grave at Freeport Cemetery. I was interested in Mary A Bowser who had died on 17 February 1914. This was in the area of possibilities for the death of Olive(Maud) Bowser Stephens mother. Olive had indicated in her second marriage license application 6 June 1914 that both of her parents (Jacob Bowser and Mary Murphy) had died. I sent an email to "me" inquiring about her/his posting. The grave had been moved to Red Oak and I actually had two questions. The first was about Mary A Bowser and where was Red Oak. "Me" replied that Mary A Bowser that was buried was only three years old and they also searched the rest of the Bowsers and no one there fit into my criteria. The Red Oak was adjacent to Freeport Cemetery. She/he said in fact not too many people knew that Red Oak had been part of Freeport. I sent a "thank you" email back and was glad to get the information. That is one of the myriad of cemeteries in Armstrong County PA that I can take off my list....I was really glad for the reply and history about the cemetery. This weekend was very busy for me. After perusing the plethora of Bowser Family trees I could not find a death date for Mary Ann Bowser. On her daughters second marriage license application in June of 1914 they were both listed as deceased. So, having nothing much better to do, I went on find a grave and electronically visited every listed cemetery in Armstrong County. I found one single grave Mary A Bowser, 17 February 1914. Moved to Oak Ridge. This is a likely candidate, but where is Oak Ridge and who had her moved. I have to give them a call and Google Oak Ridge. I visited my cousin Helen, her grandfather and my husbands grandmother were siblings. She shared (very generously I may add) her folders on one side of the family. I spent the better part of yesterday going through and copying files. The family names were Feldkamp and Honerkamp. Both sides came from the Kingdom of Hanover in the early 1830-1840 era. She had copied many census records and I searched Ancestry to see what I could find but there were no census records to be found on these families. I have to talk to her and see where she got her records. I wonder who is doing the indexing, I have a suspicion that it is not someone that English is their native language. I did find one nugget of information and it was a death of death on one of the descendants of Johan Feldkamp. Helen did not have this record. Now I will search the Diocese of Pittsburgh Archives and see what they might have. The first Catholic Church in Pittsburgh was founded in 1808 and that parish was St. Patrick. There were a few German parishes founded a few years after that. Each answer brings more questions. Since I found the parents of Olive Bowser I have been looking at online trees, census records and the documentation of the Bowser Family in the early Pennsylvania history. I have found that the Bowsers/Bausser/Bauser/Basur came to the USA in 1733. It seems that a whole group of the family left Switzerland and headed for Philadelphia. I have found them in Montgomery, Lancaster, York, Bedford, Somerset, and Armstrong County Pennsylvania. I find much information, but what is right and documentable? For example I have the names of two different women as wives for Valentine Bowser. Was he married twice and who is the mother of Daniel Bowser? My Mary Murphy has a father named Thomas and was living with her and Jacob A. Bowser in Pennsylvania in 1860. Someone else has him living in Iowa. The two names are the same but they can not be in the same place at the same time. I have written to a few of the owners of the trees and I hope someone answers so I can figure this out. I find personally when something does not feel right, it usually isn’t. More work tomorrow and I know this is going to be a long project. The fascinating thing is how people have been able to trace this family back to the late 1600’s in Switzerland. How much of it can I prove to be correct? It was a cool, bright and sunny Autumn day. I met my husband at the local family restaurant for breakfast because I was not scheduled to work that day. Several of the local police usually stopped at the same restaurant. One of the detectives got a phone call and said "A plane has hit the World Trade Center." My initial thought was that is was small Cessna type plane. Soon more calls and the police had to leave. The detective stated that the thinking was it is a terrorist attack. Next I went to get my hair cut and by then a second plane had hit and rumors were swirling. I went home to watch the TV and the reports of another hijacked plane and it was thought to be over Cleveland. Since my daughter was in college in Cleveland, and not too far from Hopkins Airport I was really getting upset. I tried to call her but she was in class, at least I hoped she was. Next came the report that the plane had turned and was in Pittsburgh's air space. Scenes of horror were imagined as I tried to think if Pittsburgh was the target. No Pittsburgh wasn't, the plane was now flying East over Southwest PA.
Then a crash just east of Pittsburgh............I kept waiting to hear of more hijacking and heavens knows what else. I sat with morbid fascination, dread and fear while watching the collapse of the towers. I wondered why people were told not to leave the twin towers, I was feeling that if I was there I would have left. It was one of the scariest event in my life as well as others. My daughter's classes were cancelled and I worried about her. Actually, I have been spending a lot of time and psychic energy worrying about my daughter who lives near the Susquehanna River in NE PA. She lives more to the center of town and not on the edges. She is a RN and works at the local Medical Center. She did not get any water in her basement but many people did. There are levees on the river and the river got quite close to the top. The next town down, Athens PA, the river breached the levees and flooded the town. What she has to do is boil the water and the sewer system is not functioning. If the levees had been breached in her town I can not imagine the damage that would have happened. The hospital has cancelled the elective surgery for two days and she is hoping to be able to get back to work. Being off is fine when you have something to do. The town, Sayre PA, has a great Facebook page and they have been updating the townspeople with all the needed information. My great grandparents and their family lived near the banks of Turtle Creek. This was long before any flood control. My grandmother would talk about the many floods and how they had to move everything to the top floor and then the massive clean up afterwards. After the parents died her sister Mary O'Rourke told her brother William, O'Rourke to sell the family house and move because she just could not clean a house like that again. The did sell and move up on a bluff overlooking the old house and the creek. The old family house and beyond it is the bluff where they moved. The town was called East Pittsburgh. Tom and Gerda taken in Erie PA, early 1940’s. Since last Thursday when my fellow Bowser researcher generously gave me the names of the next Bowsers in my and her family, I have been perusing all sorts of sites and posted family trees. I have a lot of information and now trying to make sense of it. The biggest thing that caught my eye is the number of people who just post names and dates all willy-nilly. I really wondered if they had read and correlated the dates of birth and deaths of the parents and they children they have posted. For example, one of the ancestors had his first child at the age of 11 and one wife continued to have children fifteen years after her posted death…..with no mention of a second wife or marriage. This also happened to another ancestor I was following, he did not emigrate to the USA but someone working on his line had him here years before my great grandfather emigrated and was 13 when his son was born. This is going to make my job quite complex. Are the dates of birth and deaths of the parents wrong or do the children listed belong to another branch of the Bowser family? I have not written to any of these people, how can I mention that their math skills and assessment skills leave a lot to be desired. Does anyone else find this a problem? Wednesday I spent the afternoon at the ARMSTRONG COUNTY GENEALOGICAL LIBRARY A member there is researching the sister of Jacob A Bowser. I had copied the marriage application of Olive Bowser Stephens where I found Mary Murphy, Olives mother. She share with me the names and dates of four more previous generations of Jacob A Bowser. That was VERY exciting to me because it takes me back to the 1600's. Now with this information I can search and document the information. She said she did not have the documentation because she had started thirty years ago and did not cite her sources back then. It is easier to search if you have names and dates. Guess I will be busy on this line for a very long time. As mentioned in my Blog latest Blog post I have set up a photography-geneblog. FOUND AT AN AUCTION is its name. Setting it up is still a work in progress. I had linked it to my Live Writer Account and now I can not access my old blog accounts, so I have to work on that. I also found that my old Photoshop will not work on my new computer, so I guess I have to work on that too. I search the forums of Photoshop and there does not seem to be a patch for that old program. Actually it is PS 3 so I guess a new one is in order. Or at least it will be when I find the relatives of the box of pictures I found at an auction. My husband went to a auction in Cheswick PA. He purchased a small piece of furniture and the auctioneer threw in a box of photos. There are some old ones and the rest are from the 20’s through the 50’s. I found a picture of husband and wife and their names were on the back. I checked for the family and I did indeed find them in the census in Darke Ohio. Even better I found a man had posted a family tree with this information. Buy this time I suspected that the couple in my picture was the family I had found due to the woman's unusual name of Calista. When I read his tree he had a lot of pictures and he also had the very same one I had in my hand. His picture appeared to be a copy of a newspaper photo. What I will do is scan, make a folder and then see if he wants them. Is there anyone out there who would not want to be contacted and offered a collection of photos that included your ancestor? I have to get busy on that project and I thought that I would mail him the whole bundle if he is interested. From the amount of photos I think he likes pictures. I am hoping that some day a person will contact me and tell me they have found a picture of Thomas Dowd and Bridget Naughton and the children and would I like a copy…..I would walk to go and pick it up. What was the reason for this picture? EUREKA, I REALLY FOUND IT…..
As I had planned Chuck and I stopped at the City-County Building in Pittsburgh. It only took about 10 minutes and now I have the answer. I found the parents of Olive Bowser and as I had suspected, but now I can PROVE it. Her father was Jacob Bowser and mother Mary Murphy. Olive was married on 6 June 1914 but the Justice of the Peace C.B. Milligan at 1334 Federal Street, North Side, Pittsburgh PA. At the time of this marriage both of Olives parents were deceased. I have to take a drive back up to the Armstrong County Genealogy and now gather up more information on the ancestors of Jacob and Mary. The Bowser Family is well know in Armstrong County PA In fact the original Matthias Bowser SR. came to the United States somewhere in the early 1700’s. They were German Swiss and I can go back about four or five generations that have already been documented. I took Chuck with me to do the research. Olives name was misspelled, it was Stephens but listed as Stevens. He wanted to know if I was certain and why would it be spelled wrong. I just laughed. Her husbands name was Oswald Rauhut and how could anyone not know that this was the same couple? Even in the 1900 and 1910 census the names was spelled Stephens in one and Stevens in the other. I am so happy because I have been searching for the documentation of Mary Murphy for about two years. This has been a slow genealogical week for me…..On Tuesday I went to a meeting of the NORTH HILLS GENEALOGISTS. I was so surprised that they had a great meeting. I had joined this group earlier this year but with winter and working I did not get to go as it is about an hour drive from my house. The topic was on German Genealogy and I have to put my plan into action. There is also a beginning German class and I would like to start learning German. It seems that there is a beginner, medium and advanced class. I asked my sister if she was interested in going, she will let me know. I will see if Chuck is interested in driving there. It is at the PENN BREWERY and he could have dinner and a brew while I am in class. This week I also did my volunteer work at the Archives of the Diocese of Pittsburgh. I was searching the records of St. Michaels, which was located on Pittsburgh’s south side and know then as Birmingham. St. Michaels was a German Catholic Church and the old records are written in German in the old German Script, I am getting better at reading the old handwriting. What struck me while searching the death records was the extremely high number of children and infant deaths. It seemed to me that this group comprised about 75% of the deaths. Really, how sad was that? I knew that there were a lot by this actually surprised me. There were also a number of women in their 20’s who had also died, and I have a suspicion that they died in childbirth. The current c-section rate is now about 25% and that is about the same number of women who died in childbirth at that time…. My goal this week is to go to the Allegheny County Courthouse. Chuck has an appointment in town and the Batman filming is over, so I mentioned to him that I would like to stop and look for the records of his great grandmother Olive Bowser. I am hoping that when she married the second time it was in the timeframe (1914) that the name of her parents was required. But, the way things go for me on that line I am prepared that the information will not be there……Tuesday is another day………. I have been agonizing and really frustrated by the lack of information on Olive Bowser Stephens and her parents Jacob and Mary Bowser of Armstrong County PA.
Today out of the blue, I was looking in my Bowser folder actually, it suddenly struck me……..Olive’s second marriage. She was married in 1914 and in Pittsburgh. At that point in time the parents names were required on the marriage license applications. Why did I not realize this a year and a half ago. Why did it take looking at her second husband, Oswald Rauhut’s immigration papers to finally figure out to look at their marriage application. I will go to Pittsburgh and look it up as soon as the Batman filming is ended and all of those filmmakers and actors have gone. Has anyone else done something incredibly off the wall like that, missed something so obvious in their research? I feel like a complete idiot over this basic record. My sisters and I spent a few days at my daughters home. She had to work and my sisters and I did some sight seeing and shopping. We perused many antique stores and what I saw in one store was amazing. It was an old photo album, with pictures from the late 1890’s and early 1900’s. The most amazing this was that 90% of the photos were labeled. Someone took the time to write, above the photo, the names of people in the photographs. I would have purchased it but the cost was $60. What a treasure to find if it were your Family. The person who took the time to write a Who’s Who deserves a genealogical medal. I was in a shop in SYLVANIA PA which is in the Northern Tier of Pennsylvania and in Western Bradford County. The people were the Reynolds and Willis families. So, I decided to make a post and list the place and families in case anyone would happen to find the link to my blog. Before I could select a day I made an electronic visit to St. Luke Cemetery. Photos taken by Rich Boyer and courtesy of Allegheny County Gen Web Archives. I had been looking for George I the 1910 and 1920 census and now I know why I did not find him. It is amazing how some people are easy to locate and others are virtually impossible. I also sent these to my Aunt Edna. I am thinking that the elder Phillip emigrated to the USA circa 1850 to 1855. On one census it is documented that the son Philip was born in Pennsylvania and one in France. OUT TO LUNCH AND RESEARCH FOR AUNT EDNA. My husbands elderly (89) Aunt invited me out to lunch with her and her daughter yesterday afternoon. I have been sharing with her my trials and tribulation on finding relatives. Her husband was my husbands fathers brother. She was the person who told me that the elusive Olive Bowser died on Christmas Eve in Salem Ohio. After lunch she asked me if I could do something for her. She wanted to know where her Great Grandparents came from. Aunt Edna had given me some preliminary information. She said that her grandmother could speak French and German and in fact Edna had studied French in High School so she could practice speaking to her grandmother. I accepted the challenge. She had written that her great grandfather was born in 1825 and died in 1886. Phillips wife was named Barbara. Checking the census was the number one thing to do. Fortunately the couple came to the Pittsburgh area and stayed there. What I found on Ancestry was 1)1860 census was Philip, Barbara and son Philip. 2) I found him on a list of eligible to fight in the Civil War list. I do not know if he did serve. 3) 1870 and 1880 census. All were saved by me on my computer and in my Ancestry Shoebox. Next I searched on the Ancestry Family Trees and found two with people who were researching the same couple. I now had Phillip and Barbara’s dates of birth and death. There was no citation so I sent the owners and asked where they got their citations. As well as their dates of birth and death I now had Barbara’s maiden name and the places where they were born in Alsace-Lorraine France, complete with the towns listed. The last of my find was a note that they were buried at St. Luke Cemetery. Now there were a few St. Luke Cemeteries and I chose the one that was the closest to where the couple lived. St. Luke near Millvale Pa is a small cemetery and it is kept up by the Lutheran Church in Millvale PA. Some wonderful soul had indexed the cemetery and it has Aunt Edna great grandparents, grandparents and some of the siblings of Edna father. I was so happy that finding this information was a breeze. It actually only took me a few hours time and the research was quite fruitful. I hope Aunt Edna is happy….. The index stated that they had grave markers, so I see a trip to ST. Luke Cemetery in my future.